Coding is something that is in the news all the time. “Kids need to learn to code,” and “all kids should learn coding,” are common headlines. While I am not sure that all kids need to learn to code, I do think that having a basic knowledge of coding and what it is all about is a great idea. There are so many fun coding ideas out there that we did numerous posts on coding. 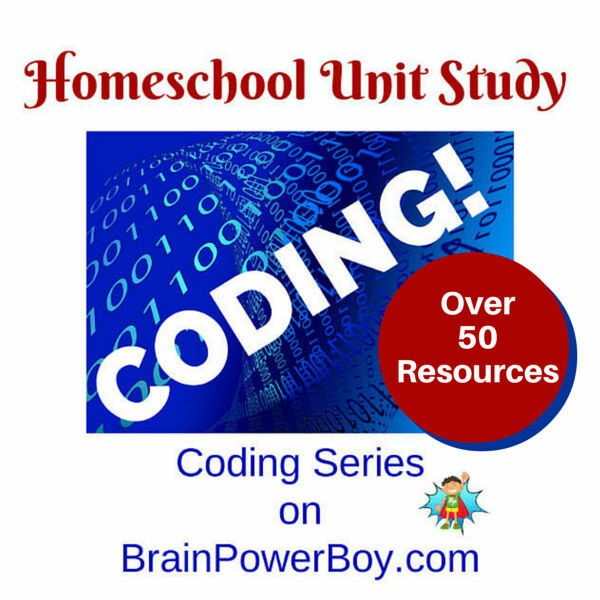 This is our big page with all of our Homeschool Unit Study: Coding Resources. If your boy is into coding you will not run out of things to do any time soon! If he has not tried coding yet, why not give it a try? There are over 50 coding resources for games, apps, getting started and beyond beginner. There is also a special section for coding unplugged where you can play coding games offline. Getting Started Coding is the perfect place to start. There are a lot of great resources for beginners here and everything is easy and free to use. 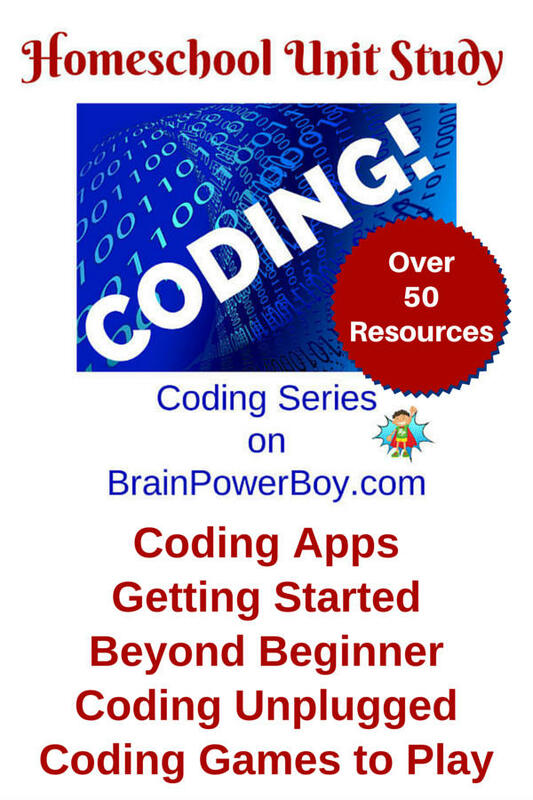 If your boy is ready to go to the next step try Coding Beyond Beginner for some great ideas. If you have a mobile device try Coding Apps. These are for kids of all ages and there are some very good and entertaining ones included. I will admit that this one is my favorite. Games to Play to Learn Coding is all about having fun while learning (just like this site!) I love using games while we are learning something new. They are usually much more engaging and help my son remember things better. Did you know you can try Coding Unplugged to learn coding offline? It is true. Coding concepts can be learned offline and these are a lot of fun. You have no idea how hard it is to “program” another person to do something until you have a go. Funny and enjoyable for sure. Try a few different types of platforms to see what works best for your boy. We tried a few that my son didn’t really care for and he thought he didn’t like coding at all. But then we tried a few of the games and he really liked them. Experiment and try new things. For other homeschool unit study topics boys will enjoy, click on the link. What a fantastic resource Sheila! I can’t wait to dive into the world of coding with my kids. Feel free to ask any questions you may have–we are happy to help. Thank you for these resources! My son is on a First Lego League Robotics Team and is very interested in learning coding. I look forward to checking out these resources with him. You are most welcome Jeannine. I am happy to hear you are planning to check a few things out. Enjoy! Khan Academy is another great place with programming/coding resources. I can barely drag my kid away. My daughter will love this! She wants to be a game programmer. Thank you for sharing! I’m so glad to hear that Christy! How cool that she wants to be a programmer! I hope she enjoys the activities.